It is rather surprising how this country, which prides itself as being smart, calling itself the "Start-Up" and "Innovation" nation, can remain stuck in a political realm of thought that has failed us time and time again. Israel is called upon to constantly give in to Arab demands and tolerate Palestinian violence because, as we are told ad nauseam "peace is made with enemies". The Middle East Forum offers a completely different approach. Prof. Daniel Pipes, the president of the organization, defined it as such – "Peace is not made with enemies – peace is made with former enemies." Throughout Human history, wars have ended only when it was clear that one side was defeated, gave up and surrendered. The world – and to a large extent Israel – refuse to internalize this simple fact. Israel needs to show absolute determination and conviction. It has to exact a price that, with regards to Gaza for example, will convince Hamas and the citizens of Gaza in particular, that their riots are useless. That the war is over. That there is no "right of return". It must be made clear to them that they have lost the war. Daniel Pipes, the president of the organization, defined it as such – "Peace is not made with enemies – peace is made with former enemies." The basis for any and all future negotiations must therefore be based on the Palestinian's recognition of the fact that the Jewish state in the Land of Israel has won, and only after they recognize their defeat, will there be a possibility for true peace. The Middle East Forum is working to make this concept of victory into a central and inseparable part of the political discourse in Israel. During the past two years, the Forum met with senior members of the Trump administration, senators and American congressmen, as well as with Israeli government ministers and Knesset members to promote the ideas of the "Israeli Victory Project". 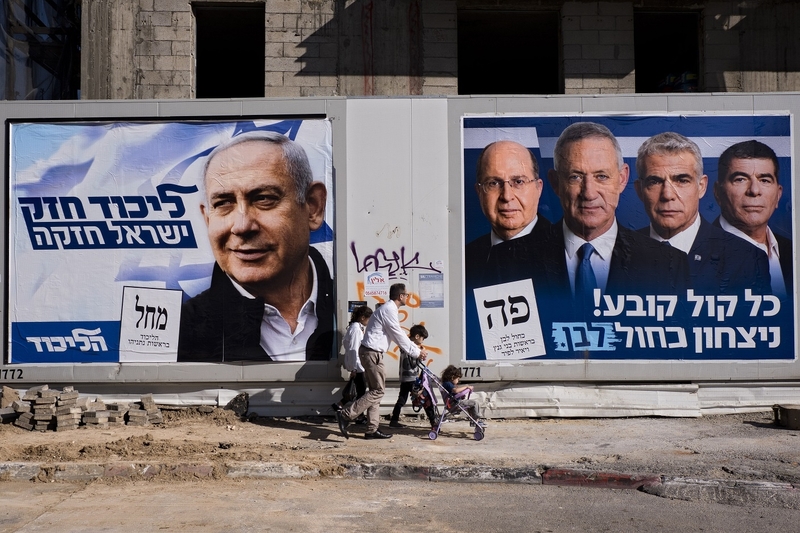 It will continue doing so to influence the new government in Israel. The "Israeli Victory Project" is solution agnostic. Its focus is on how to resolve the conflict and not on what form the preferred peace plan will take, believing that it is impossible to achieve a resolution of a one-state solution, two states solution or any other proposed solution, as long as the parties do not agree that the conflict itself has ended. Daniel Seaman serves as Director of the Middle East Forum's Israel office.